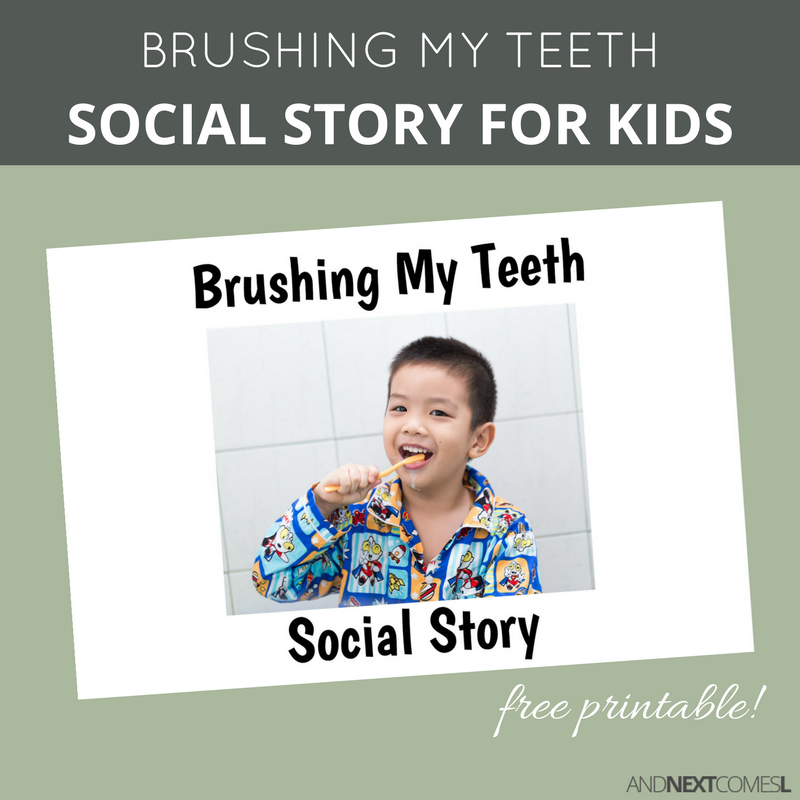 This free printable social story for kids with autism is all about how to brush your teeth. I am a firm believer in writing social stories for kids with autism or hyperlexia. They are such a great way to break down tasks into simple steps and teach valuable social skills or practical life skills. Besides, the first time I ever used a social story with J was absolutely life changing! Usually one read through of a social story is enough for him to retain all the concepts, and even the exact phrases to say if included! This free printable social story about brushing teeth is the perfect way to teach kids why to brush, how often to brush, how to floss, and more! It breaks down this everyday skill into simple steps. This social story explains how to brush your teeth, why your child should, and how often they should. It also explains flossing. However, I did not include mouthwash in this social story. This printable is 14 pages long and includes full color photos. Be sure to pair it with this brushing teeth hidden rules printable too!